To kick off Season Ten we are thrilled to bring back the play that started it all! Written by co-founder Jessica Lind Peterson, this hilarious romantic comedy chronicles the unlikely courtship between a poet and a pizza delivery boy. Raina is determined to find that great love one only reads about in sonnets. Unknowingly, it arrives on her doorstep one day in the form of a scruffy pizza delivery guy who flunked high school English. Will she open her eyes to see the true poet, the one who is captivated by the ordinary, the one whose love for her is comparable only to his passion for organic lawn fertilizer? 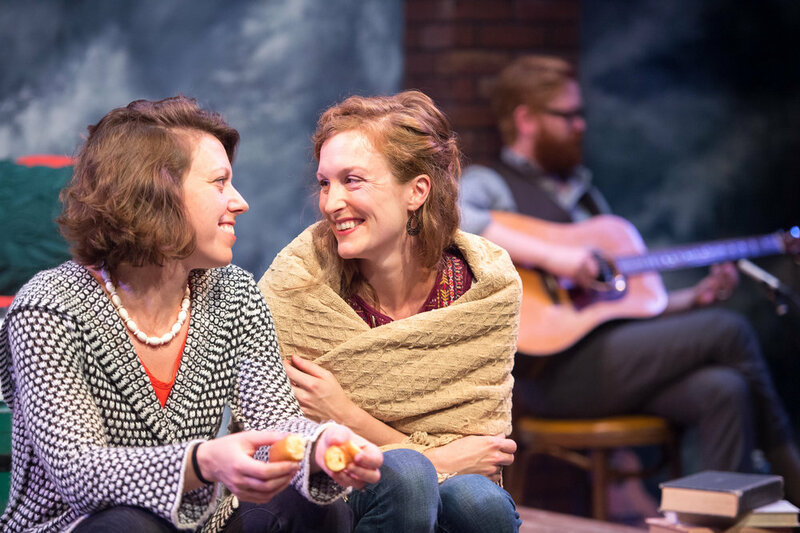 Don't miss out on this heart-warming love story starring Yellow Tree founders Jason Peterson and Jessica Lind Peterson and featuring original music and a live performance by singer/songwriter Blake Thomas! Cast: Jessica Lind Peterson, Jason Peterson, Jessie Rae Rayle, Andy Frye*, Ryan Lear & Blake Thomas.